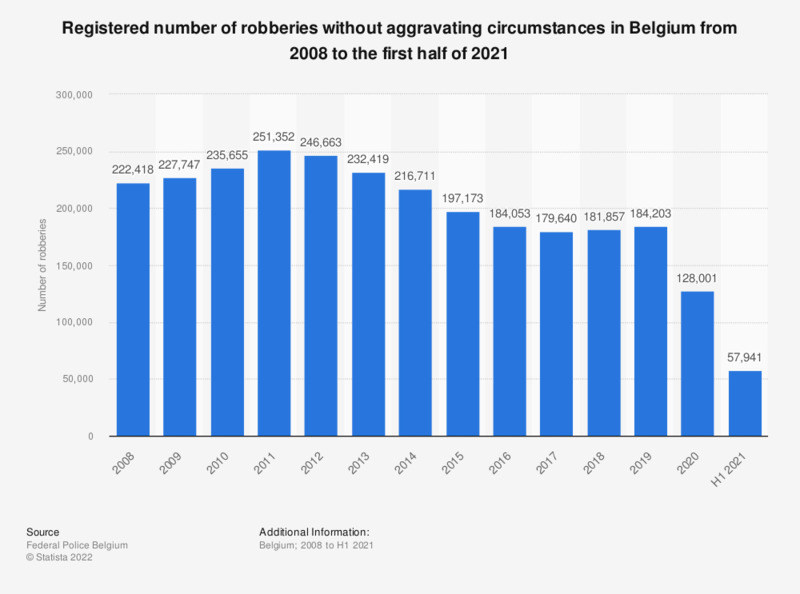 This statistic displays the number of robberies without aggravating circumstances in Belgium from 2007 to 2017. In 2017, approximately 177 thousand robberies without aggravating circumstances were registered in Belgium. According to Belgian criminal law aggravating circumstances for robbery are: robbery during the night on private property, robbery with two or more people, burglary, robbery with a terrorist goal, violent robbery with serious physical consequences, robbery of cattle from the pasture, robbery during (natural) disasters, and the use of a getaway car.